EndChain is a patent-pending blockchain utility company that is focused on bringing mass adoption of blockchain tracking to all markets. LINKCHAIN is a new Supply Chain startup developing a hybrid blockchain platform that allows buyers & sellers to transact business in a secure fashion. Geeba is a decentralized delivery ecosystem that enables businesses to operate deliveries with autonomous vehicles and smart hubs. The high costs, lack of efficiency, and demand of deliveries today enables Geeba to introduce a new approach to the industry by allowing the community to actively participate in the evolution through leveraging blockchain. As order fulfilment is both store-based and distribution centre-based, while delivery is direct-to-consumer, Geeba aims to develop a sustainable city logistics solutions that directly serves centralized-extended and fully-extended supply chains. Moreover, the proposed business model assumes Geeba will be working together with businesses as well such that the B2X model is complete. Geeba Ecosystem, incorporated as a BV company (“Geeba”), is the official entity that creates the Geeba tokens, platform and technology. Geeba is focused on releasing open source cryptographic technologies that operates the Geeba ecosystem. For the avoidance of doubt, the Geeba tokens do not provide token holders with any ownership or other interest in Geeba. 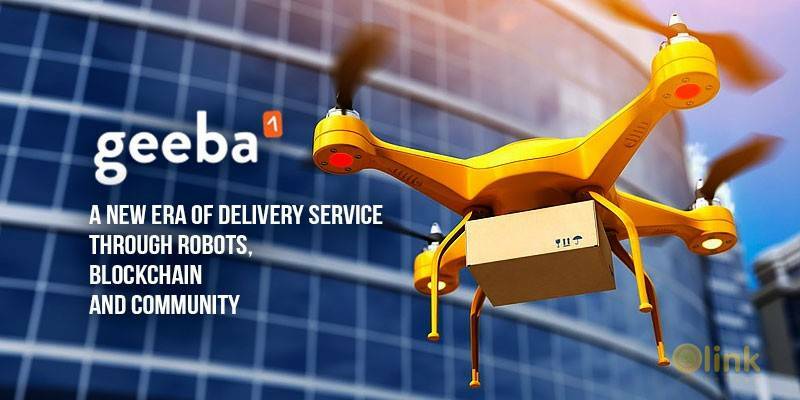 Geeba aims to facilitate the use of robots to make 5 million deliveries by 2022! Geeba, bringing a smile to delivery.